*Note: This is a workout that I like to do that I am sharing with you. Please consult with your physician before attempting any new workout routine. Despite the impression you may have received after reading Good Papa’s post on How to Make Sunday a “Fun”Day I actually do like football (not Rodger Goodell so much though). I just have a difficult time planting myself in front of the TV all. day. long. Have you ever heard of the Red Zone channel? It’s a channel that continuously plays clips from NFL football games of teams ready to score. There are no commercials. It is nonstop. I don’t know about you, but I need breaks. And, I’m sure it can’t be good for that announcer’s bladder. Seriously, when does he use the bathroom? 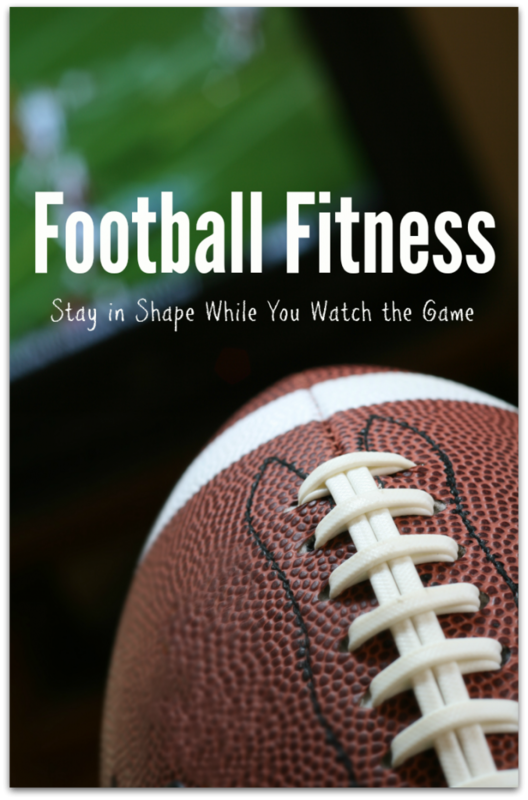 Nevertheless, I felt the need to incorporate fitness into our Sunday football watching. I thought the perfect way to add some fitness to our football would be to play a game. Apparently, some people play drinking games while watching their favorite shows. For example, if you are watching Scandal, you would be required to take a sip of alcohol whenever Olivia Pope drinks red wine. If you have ever watched the show you would know that you would get drunk pretty quickly (Check out Buzzfeed for some more examples). Since we have to be appropriate with a baby around, I traded in alcohol for exercises (I know, not as much fun). The great thing about this workout is that you can modify it depending on what area you want to target. You want to work out your arms and chest? Try doing 10 pushups every 1st down. You’d rather focus on your legs? Try 10 squats instead. My goal was to simply get up and moving. I ended up doing over 200 jumping jacks in just one half, so I say I definitely accomplished that goal! So, whenever any of these events happen, you have to get up and do your exercise. It’s actually a lot of fun. Before you know it, you’ll have completed 50 pushups! Although, I will warn you. You definitely have to pay attention to the game while doing this workout. I think Good Papa really liked how this workout forced me to focus on the game. Well, that, and the fact that he got a good kick out of watching me get up and jump around every first down. 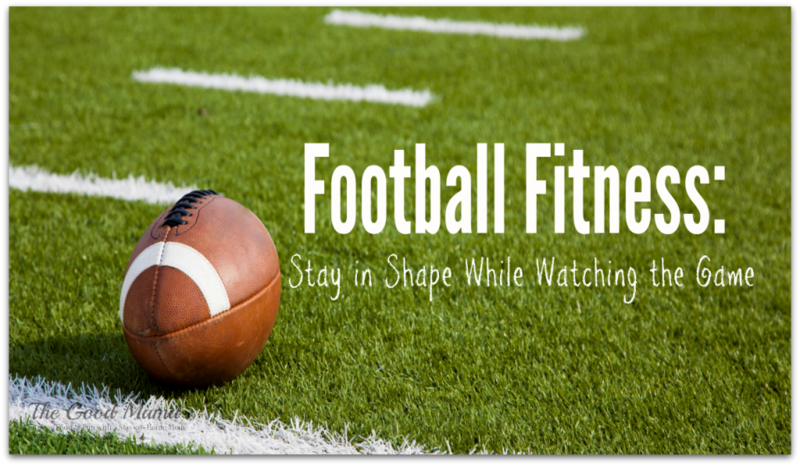 I hope you like my Football Fitness workout. Do you like to hang out on the couch watching TV/football all day? What do you do to stay active and get moving on those days you just aren’t in the mood? Let me know in the comment section below! If you’d like more easy exercises to keep you in shape, don’t forget to subscribe to my e-mail list below. Love these ideas! I’ll need to do something to make me feel less guilty about eating. Heather- Thank you! I know I eat WAY too much on Sundays! So simple and easy to do, then you don’t feel so guilty for watching the game! Elizabeth- Exactly! Thanks for the comment! Genius! I love these ideas. I definitely need to get more active and we love the Red Zone channel. I agree- I also need a break sometimes from non-stop football, even though I love it too. Thanks! Amy- Yes, the redzone channel is just a little too much for me! Thanks for the comment. I don’t think you understand the point of Sunday football… It starts after noon, so do what you want before then. And when the games begin, you layout the food and you sit. As long and uninterrupted as possible. 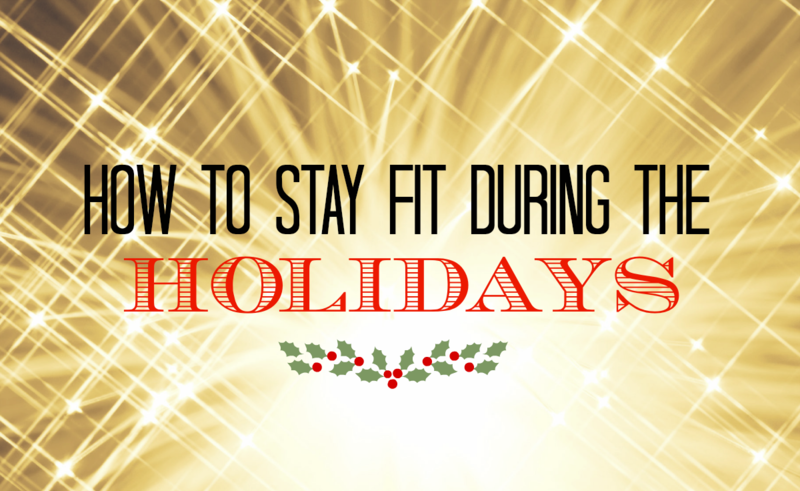 You’re supposed to be packing on pounds for the cold winter. It’s science. Melissa- haha! The Good Papa would definitely agree with you! This is an excellent idea to make fantasy football season more fun for me! Heather- Thanks! It’s making it more fun for me too! The Red zone channel would make me nuts! I like to just focus on one game. I love your ideas-I’ll have to try them out on Sunday! Tarynn- I’m glad I’m not the only one! It’s way too much for me. Ahhh! I LOVE this! Way to turn the whole drinking game idea on it’s head. I MUST try it Sunday. Thanks for sharing, brilliant idea. What a cute idea! However, I think I could only do it for the first half and then reward myself with time off for the second half. Or maybe I could do it the 1st and 3rd quarters with every other quarter off. Beth- Yes, it’s a long game. One half is still better than nothing though!